The new NBC survival reality show “The Island” really makes viewers aware of just how catastrophic things can get when there’s no drinkable water available. That’s exactly what happened to the 14 men voluntarily dropped off on a real island in the show’s premiere episode (“Day 1” on The Island), and over-lapping into the second (“Day 2” on The Island) episode. The men who arrived for the challenge with valuable skills include: a firefighter, a retired police chief, a Trauma Surgeon, an Army veteran, and a former football player from a military family. The men with very little survival skills are from occupations ranging from a bird farmer to a stay-at-home dad. Rob Brothers, the stay-at-home dad was generous enough to take time out to talk to reporters during an NBC conference call where he shared his experiences from his temporary world of “The Island” in which he spent an estimated 30-days if he made it to the end of all six-episodes of the first season. 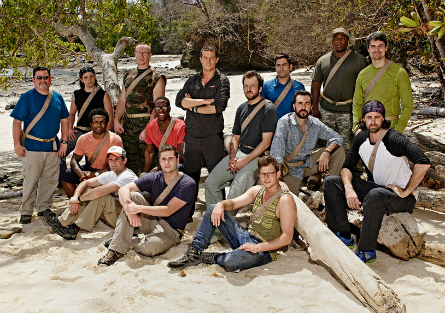 “The Island” is advertised as dropping-off these 14 men onto an island literally with only the clothes on their backs. The show is perhaps the truest of “reality” shows in that there are no eliminations, no winners, and no camera teams. During the interview, Brothers stated that this was indeed true. He said the biggest surprise for him was when he realized that this is not a television show. It was in his 15th hour of being on the island when he made that realization and it scared him. In day one, the men experienced eating a Boa Constrictor that two of the men were successful in capturing and killing. True to preconceptions, Brothers stated that it tasted like chicken. “If you grilled boneless skinless chicken breast overcooked 15 minutes,” Brothers describe the Boa, “overly chewy dry chicken with some bones in it.” The strangest thing that he ate on The Island were aquatic snails called limpets. He said they were like “overly chewy” scallops. 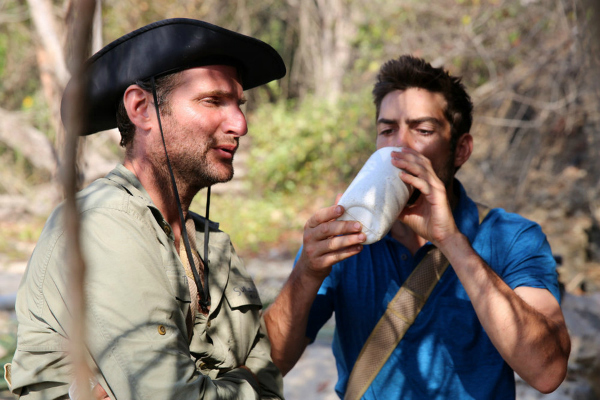 The first foods that he ate after returning to civilization was a fruit smoothie that the medic team from the show gave to him and the other men. They call this process “re-feeding syndrome” after one has been away from a regular eating diet. This requires, as Brothers explained, “small amounts of fruit, rice and chicken.” But, admitted to not following the restricted diet and basically going to a restaurant and eating “everything on the menu.” His eating frenzy also included fast food binges, spending $15 at McDonald’s, $20 at Burger King and another $20 at Johnny Rockets. He said his body paid for it later. THE ISLAND cameramen introduce themselves. One basic need that most Americans tend to take for granted is water, which was the thing that proved to be the downfall of two of the men in the first two episode. The lack of it that is. 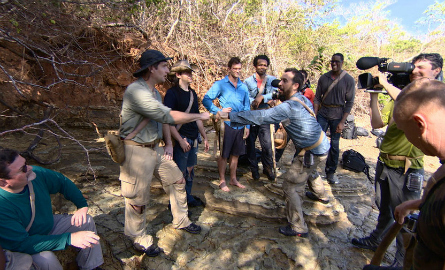 How the show works is that the men are strictly on their own, only relying on each other’s help. The minute that one of them needs the aide of outside help, the man needing the help is immediately taken off of the island where he can be treated by professional EMTs and doctors. 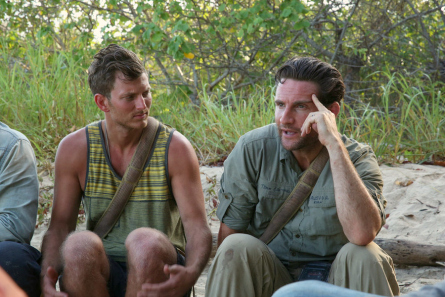 The medical team for the show was on another island 11-14 minutes away from their island, Brothers said. The men were unsuccessful at finding a source of fresh water during the first two episodes. The lack of getting water into their bodies resulted in two of the men experiencing heat exhaustion and mental break-down. Brothers comment on this was “water deprivation really hurts the mental brain” and he was going through dark places by not wanting to be there. He said, the biggest turn around was when he got the water vines and some counselling from Benji (one of the cameramen). From then on, he decided to stop thinking and reacting negatively. Luckily, by the end of episode two, the men had found two reliable fresh water sources, but not before another member of their troupe fell victim to his body’s need for the fluid and was taken off after his mind began to play tricks on him resulting in violent out-bursts. Three men went home in six days. By those numbers, that means zero should be left by day 30. Aside from having a Trauma Surgeon and a Firefighter in their group, the men’s second best resources came from the men sent there to capture their stories on video – the cameramen. These cameramen were experienced shooters who have worked in varied conditions while shooting and surviving places like Alaska, Cuba, Ukraine. One of them has shot for National Geographic and another one, shot the Pyramids in Egypt. These are no small tasks, nor small accomplishments. These cameramen were also there void of any help and also placed as survivalists on The Island. Brothers mentioned that one of the very few tools provided to them was a dull machete. Pictured (l-r): Jud Nichols, Rob Brothers on THE ISLAND. Brothers said he formed a bond with Jud Nichols, a defense attorney on The Island, and that the men have all stayed in touch via their own private Facebook group. Brothers said he thought that just because he rode a bicycle outside, that it qualified him to survive on an island. The only thing that he did to prepare for this journey was he gained weight by eating a pint of Ben & Jerry’s ice cream every night and gained 10-12 pounds. He said this was the best thing that he did that prepared his body. Host, Bear Grylls, famous outdoor adventurist and survivalist, Brothers said, only provided “weak” survival training and he didn’t learn anything. However, the best thing that he did take-away was about which dangerous plants on the island to avoid. Over the physical, Brothers said the hardest thing was being away from his family for all that time. Compared to a previous span of only six hours as the most he had been away from them before. The advantages he gained from The Island, Brothers stated was he said he found some deficiencies in himself and realized how he could be a better husband and father. Stripped of all technology on The Island Brothers said that the biggest adjustment coming home was re-learning the use of his cell phone. “When I got off the island and was given my cell phone. I had no idea how to work my phone.” He said he could’t touch the screen and it was a culture shock. Brothers stated that he never expected to actually be selected for the show, and called it “a fluke. If he had anything to do differently, would he? Brothers said he’d do it all that same, but push himself harder. “Your mind is the most powerful on this island. That’s your asset,” he explained. He credits the greatest work in his life is being a dad, and said his daughter thinks that he’s a hero after she watched the show. Brothers said he’ll return to work possibly in a few years.